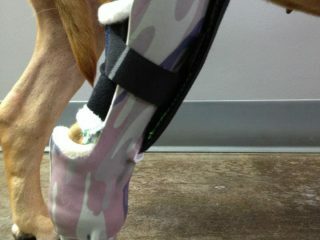 Think your dog needs an artificial limb? 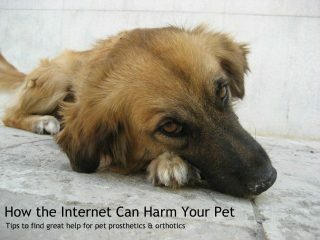 See if you’re a candidate for the free pet prosthesis project by PawOPedic. 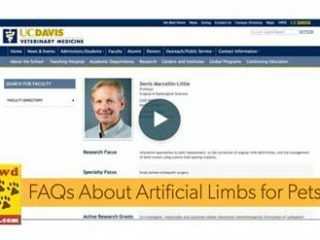 Expert veterinary orthopedic surgeon Dr. Denis Marcellin-Little of UC Davis Veterinary Medical Teaching Hospital answers common questions about pet prosthetics and orthotic devices for amputee dogs and cats on this Tripawd Talk Radio podcast. 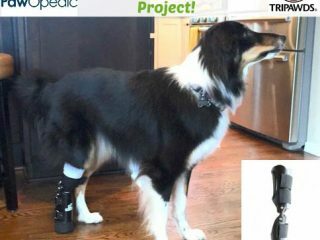 Looking for pet prosthetic help for your Tripawd dog or cat? Read these helpful tips about finding a good provider for your animal, as shared by Pawopedic’s Jeremy Uronis. 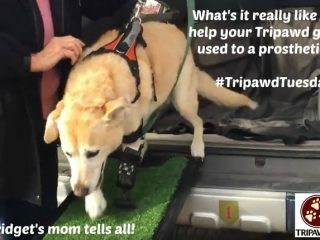 Tripawds talks about the amputation impact on cats and dogs, bionic limbs and pet prosthetics with orthopedic surgeon Dr. Denis Marcellin-Little, DVM of NC State University. 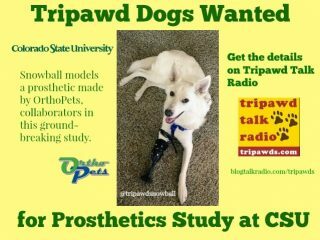 Tripawd prosthetics study at Colorado State University aims to uncover the facts about how three-legged dogs adapt to artificial limbs. 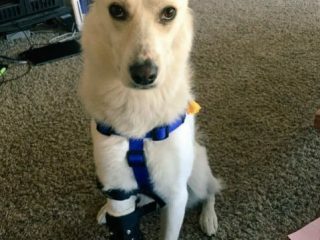 Tripawd Tuesday shares the real life story of Snowball, a three-legged dog who just got a new prosthetic limb made by OrthoPets. 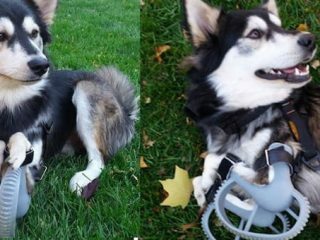 Get the facts about 3-D printed prosthetic limbs, braces, wheelchairs and other orthopedic devices for amputee cats, dogs and other animals. 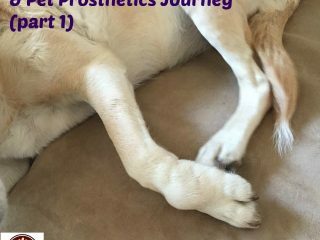 Learn about prosthetics and artificial limbs for three-legged amputee dogs with Dr. Felix Duerr of Colorado State University Veterinary Teaching Hospital’s Small Animal Orthopaedic Clinic.